I think flavored vinegars (also known as infused vinegars) are very under-appreciated in our kitchens. I want to change that! So let me give you the scoop on these flavorful beauties. They are incredibly easy to make and they provide seasonal flavor combinations from your garden (or from the farmer’s market) all year round. 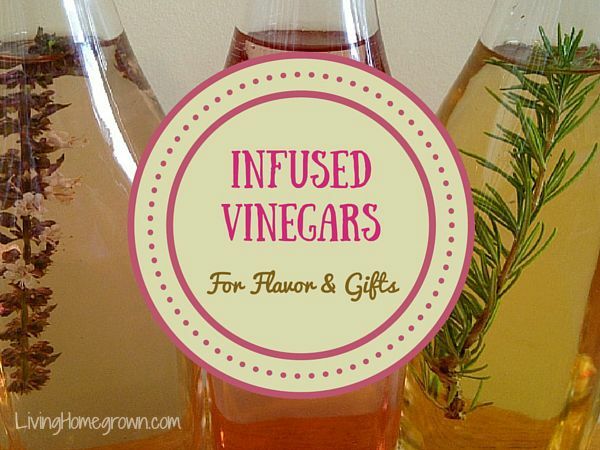 It is just a matter of steeping your herbs, fruit or veggies in the vinegar to impart flavor. Just think of all the great combos you can create! Perfectly Pickled Asparagus – Say That 10 Times, FAST!